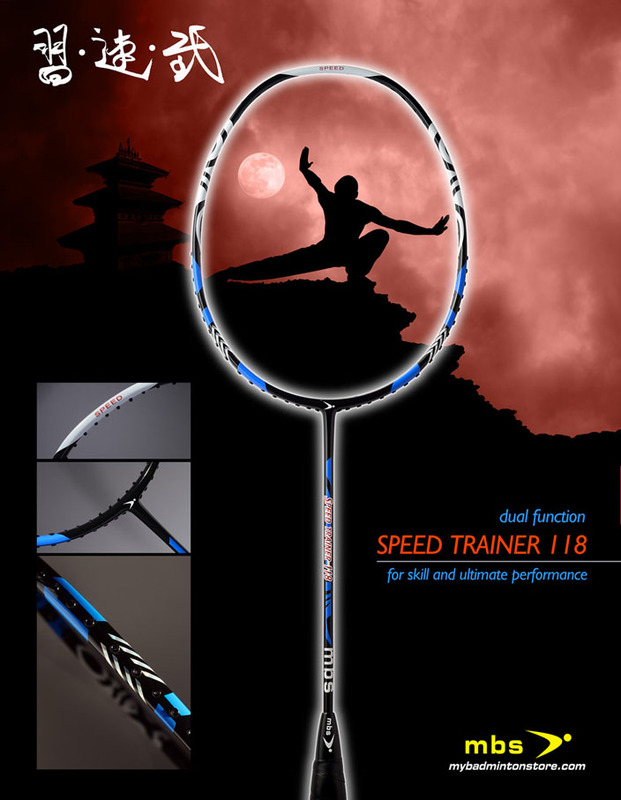 A few weeks ago Winston from mybadmintonstore.com sent me one of their latest racket to review, the MBS Speed Trainer 118. 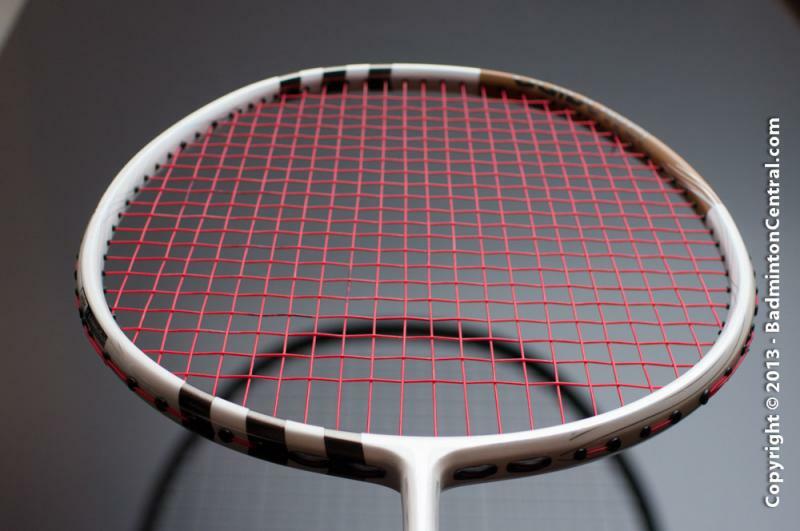 The training racket market is a market that MBS is breaking into, the smaller market of training rackets that has been gaining popularity in recent years. Training as the name suggests are rackets design for training purposes. The general idea is to add extra weight to enable higher resistance strength training. Even in the field of training rackets there are various designs that serves different purposes. Today there hasn’t really been a convergence on the design of training rackets. Different manufacturers have their own interpretations and approaches. Some goes for pure weight, some go for different balance, different head shapes, different stringing patterns. I have tried different types and it is hard to say which is the best design or even if there is a design that is the most effective for training. MBS came into the training racket market with the desire to make the racket playable. Which to me, is what make the MBS Speed Trainer 118 unique among the heavy hitters (sorry for the pun). Almost all decent badminton player player can swing a 150g racket, but it might require Lin Dan to play a real game with it in any respectable manner. Mortals like us will have to do with something lighter. The MBS Speed Trainer 118 has a design target weight of 118 grams. Which makes it among the lighter training rackets out there. In addition to the lighter overall weight, the balance is also quite reasonable at 290mm. The combination of the weight and balance make it heavy but not overly so. But first let go through the cosmetic of the MBS ST118. When i first open the case, I was pleasantly surprised by the design. It is a fundamentally black based design with blue and white accent. While from the first look it appears the accents are complicated, in reality, they are merely simple circles and lines wrapped over the frame of the racket and the transformation of these simple line over he shape and curvature of the racket frame that make them appear complex. The result is a color scheme that while hides simplicity within the complex outlook, and somehow at the same appears to have a tribal motif. While it is not quite the most attractive design that i have ever come across, it is unique and refreshing at the same time. As mentioned, the racket weighs in at 118g spec, my copy was 116.8g which is well within a 1% margin of error. Combined with a 290mm balance, the MBS Speed Trainer 118 tips the swing weight scale at 115kg/m2 dry and 120kg/m2. When compared with for example a AT700 which is 91/96 respectively, it provides the extra resistance that is what is desired. Spec speak aside, what is most important is how the racket actually plays. I strung the ST118 with my current favorite string Ashaway Zymax 62N at a conservative 24lbs. The ST118 sat solidly on the stringing bed and didn’t appear to show any deformation while tighted. 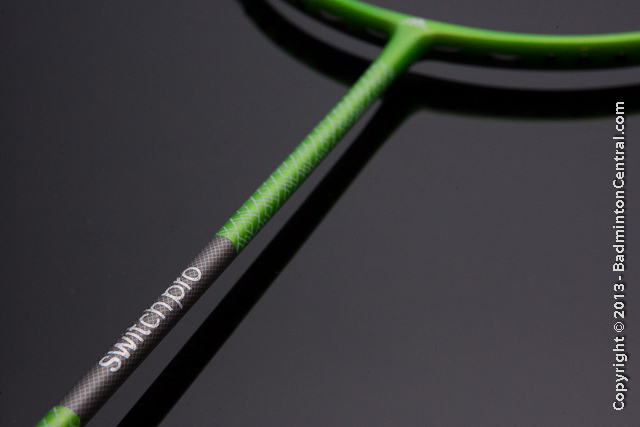 The grommets are sized and shaped specifically for shared and non-shared holes as most modern rackets do. 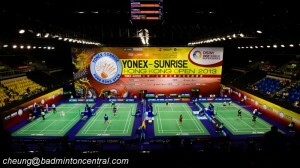 They are also of excellent quality coming close to if not matching Yonex/Victor grommets. The racket feels wells constructed overall. On court, i tried doing some drills with it initially. While the extra weight is noticible, the muscles adjust to it after a while. Which is really the good part about this racket, the weight just disappears after a while, and your muscles will adjust to the weight and after you go back to your normal racket, you will gain strength as a result. The part that i feel most useful is the smaller fast movement like drives, the extra weight really forces the fingers out of their couches and actually do some work. My forearm was considerable sore after a few minutes of drive or defensive drive drills. Resistance training for the overhead clear while are useful, maybe slightly not heavy enough. For most intermediate level male players, overhead clear doesn’t need the extra strength, but can can used to train the speed and power. The resistance was definitely felt clearly on the smash. In fact, it was difficult to exert enough speed to execute a powerful smash with it. Clearly I need to spend more time with the racket. I honestly don’t feel much difference on the drop shot, it is more of a control and finesse shot which the extra resistance doesn’t really help. Another interesting shot are the delicate small shots like net shots and lift. The ST118 excels here not at the weight, but also on the feel. When compared to some other cheaper training rackets that i have tried, there seems to be an appropriate emphasis on the material being used. The result is that the racket feels just like a good quality badminton racket instead of something that just got some lead injected to it. Very often we can see people using squash racket as warm up racket. The ST118 fits that role very nicely for me. In fact, I have been keeping it in my bag and using it as a warm up racket. The extra resistance seems to tune the muscle well for the warm up process. Furthermore, I have in a few occasions using the racket in an actual game. It is quite doable even on some harder games. It only start to be problematic when the opponent’s speed is so superior that the ST118 becomes too slow in comparison. Overall, I found that the MBS Speed Trainer to be an excellent choice for a medium resistance training racket. It is sufficient for most intermediate player for resistance drills as well as medium hard games. Over time if used regularly, one should see improvement in both shot speed and power.